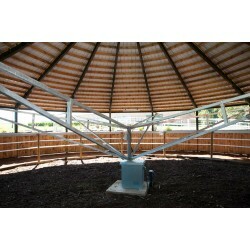 Horse walker is a device that allows you to keep horse in excellent condition. 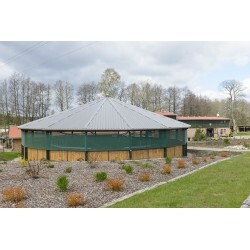 Suitable for warming up horse before training and dissipation after exhausting effort. Irreplaceable during rehabilitation. Allows you to make the right amount of movement. 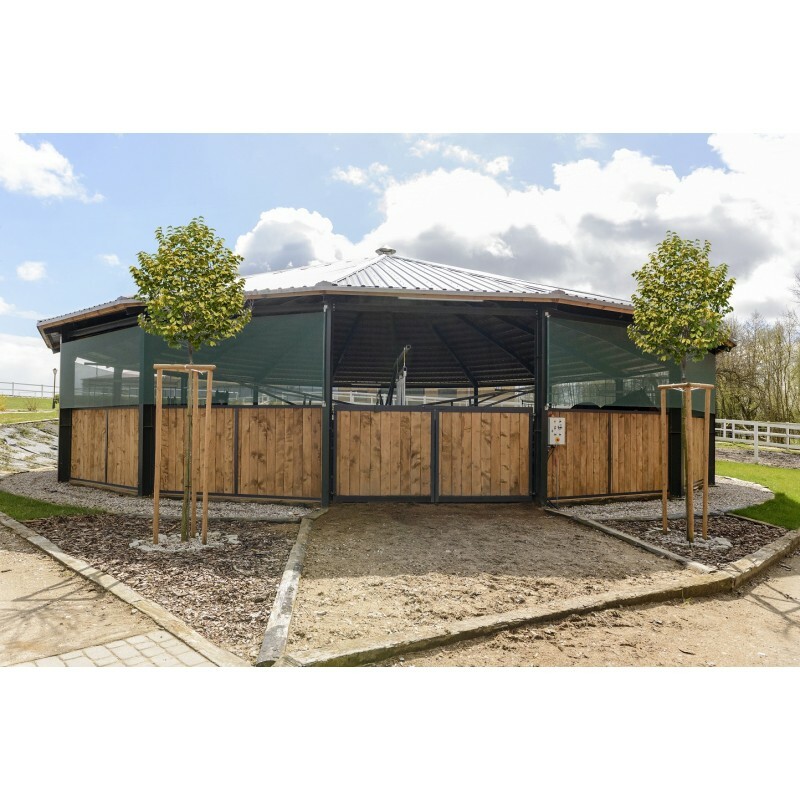 The construction is made of hot-dip galvanized steel, weather-resistant, of high quality materials, which makes it robust and durable, ensuring the safety of the horses. The horse walker’s driven by an electric motor. 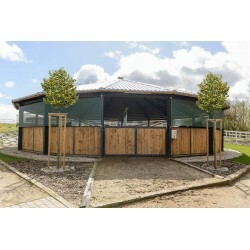 Diameter of profiled arms – 16 m.
Available also with roof and lunging arena inside.